So this service Quora, it’s getting pretty hot. But up until now, we’ve only be able to guestimate how hot it actually is. But today they’ve finally shared some actual information — on Quora, naturally. 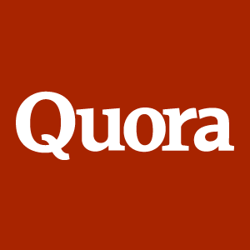 Specifically, Quora engineer Albert Sheu has put up a long answer to the question: Why did the Quora website get so slow at the end of December 2010? The reason Sheu gives includes a brief explanation of how the service works. When someone adds an answer or updates one, everyone else on that page sees the new information in realtime. That’s obviously not easy to scale, and Sheu says they’ve never tested it beyond 2 to 3 times their normal load. That was an issue at the end of December because they started seeing spikes of 5 to 10 times their normal activity. On December 28th, we saw between 5-10 times more activity on the site than usual. A number of blog posts, including ones on TechCrunch, Scobleizer, CNN, and others fed a huge number of new users to the site. Later in the day, “Quora” hit the San Francisco trending topics list on Twitter, pushing our system beyond its ability. And it’s a good thing they did that, because this week, just one week later, the service has seen even bigger growth. Look at the two graphs below that Sheu has shared. The first one represents the late December explosion in signups. The second one is the explosion this week. As you can see, the giant growth from the December week has been far eclipsed by the growth this week. In fact, he says the signup surge this week has been twice as big as it was in the late December period. “This round however, we were much, much better prepared for the increased load. While a few of our services still saw delays, for example with email deliverability and picture uploads, our main web servers stayed up all through Monday and Tuesday,” Sheu notes, thanking the engineers that helped keep things up. It seems as if most Quora users had seen the massive influx of new friend requests on the service in the past week or so — now you know why. I wondered if it was something Quora changed with regard to autofollowing, so I asked the company. “Nope, we haven’t changed anything recently. There has been a lot of activity and growth the last week especially,” co-founder Charlie Cheever told us last night. Sheu’s data clearly confirms that. And he seems like a good resource to have for scaling — he’s previously worked at both Twitter and Facebook. So we’re sorry Quora for contributing to the problem. But it sure is a nice one to have.